Searching for the best IGCSE Schools in Pune 2019 with ranking ? if so, you are certainly on the right page. We have enlisted for you the best in terms of schools providing IGCSE schooling in the city. These schools thrive on a model international system of education that is less stressful and more interesting. Take your pick from this list of the top IGCSE Schools in Pune. Find all the information you may need about these school's right from admission to facilities. 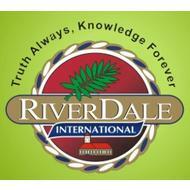 Riverdale International Residential School focuses in overall development of students. DY Patil International School provides a high-quality and world-class education to its students. Daffodil International School offer a very high standard of education, which is broad-based, yet tailored to meet the child's individual needs.